This adorable Bunnies By The Baby "Bud" Bye Bye Buddy goes perfectly with the "Skipit" collection. The body is a combination of blue velour and satin. 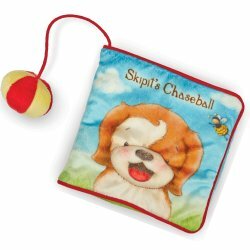 Baby's just love the soft fabric and the cooling and comforting feeling they get from satin. 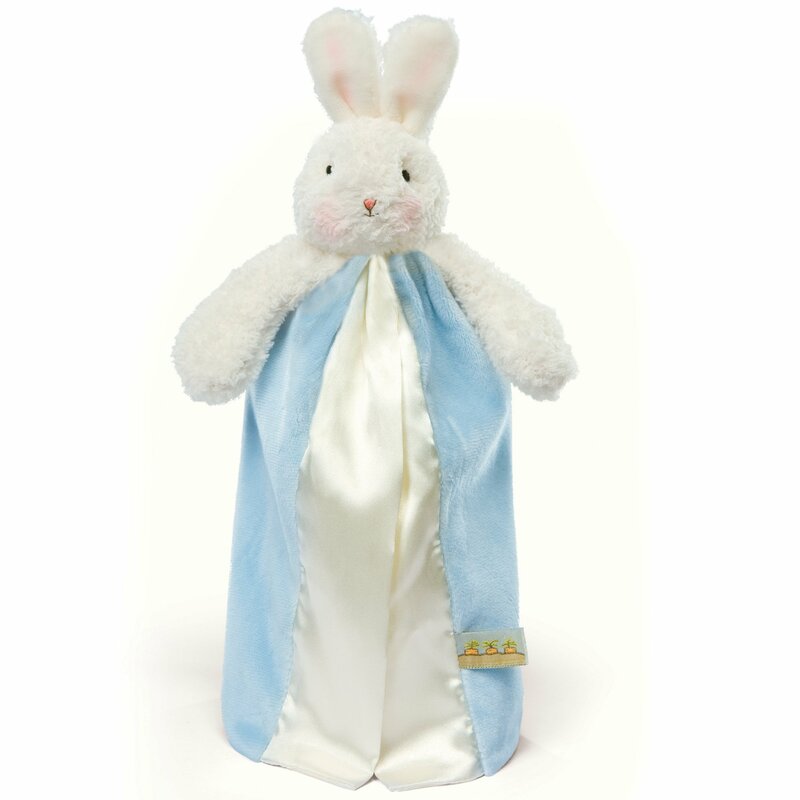 The welcoming arms, head and bunny ears are a soft chenille-like fabric. So adorably cute! 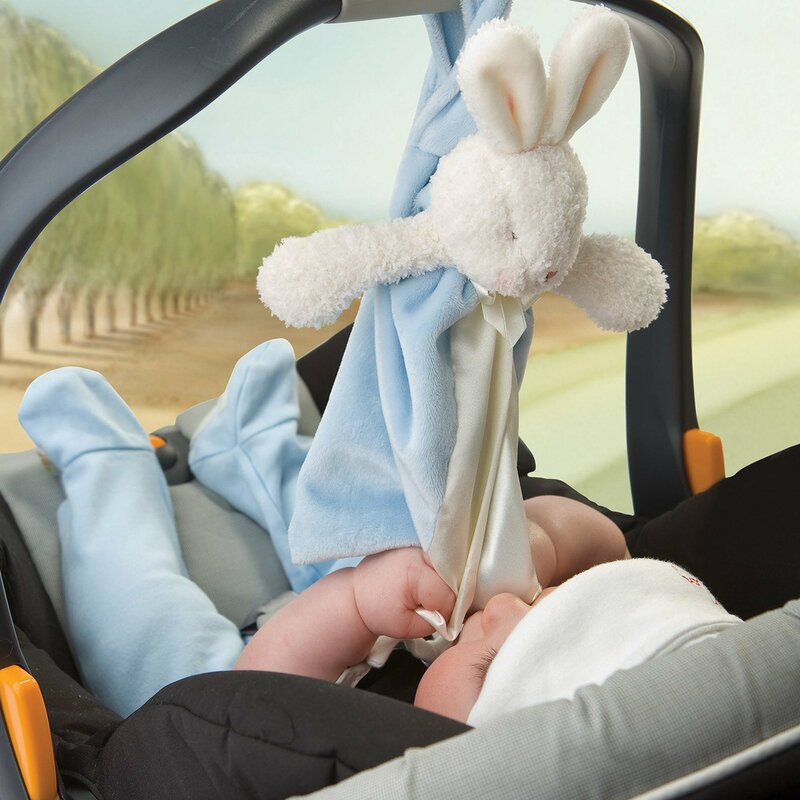 Velour loop on the back has a Velcro closure which makes it perfect to attach to stroller, carseat or crib. 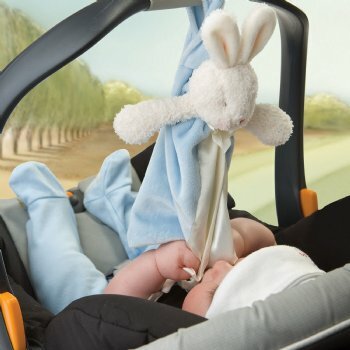 And, you can easily attach baby's binkie so Bye Bye Buddy is always close at hand. 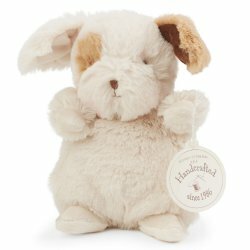 Size is 11" tall and machine washable on gentle cycle.